The skin is a large organ that completely covers the body. As a matter of fact, the skin is very sensitive and immediately responds to a problem inside the body or the harmful agents in the outside environment. No doubt, we are at a great skin health risk. However, still, we can do a lot to protect the skin. Any facial skin condition could be solved with the laser treatment for face. On this page, we are going to discuss the pros and cons of Laser Treatments for body and face in Dubai. What is Laser Treatment for Face? 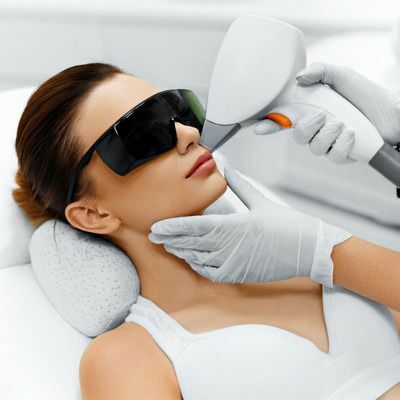 What is Laser Treatment for Body? One of the largest organs in the body is the skin. The human beings are fully covered with the skin, and it is completely integrated with other parts of the body. Mean to say; the skin is not only affected by the harmful external factors, but also by the unsafe agents present within the body. What can we do to keep the skin safe from within the body and the outside environment? Well, there is much to be done, and if we get a skin problem by any mean, we have advanced laser treatments. Generally speaking, the laser treatment for face Dubai & Abu Dhabi is a procedure that aims at solving the skin problem. Here, we are going to discuss the pros and cons of laser treatments for body and face. You want to cure the skin problem. You know the risks involved in the treatment. You do not have any skin disease that can cause a problem. As a matter of fact, we can solve a skin condition with the help of different technique. It is the responsibility of the dermatologists to choose the right technique for a particular treatment. A board-certified dermatologist has a grip on a variety of techniques that could be used to treat a skin problem. The laser treatment for face is performed by exposing the treatment areas to the laser light after adjusting the right mode. Use sunscreen while going out. Do not exfoliate the treatment area. Use ice to stop the burning sensation. Avoid sunbathing and do not use sunbeds. The experience of the professional. The treatment goals you and your doctor set. The treatments that cross a particular cost limit, Laser Skin Care Clinic offers 100% treatment financing option to make our treatment accessible to everyone. How does it work? Well, the treatment loan mathematics is simple to grasp. You book a free consultation with us and if you make your mind for a particular treatment, you pay through your credit card and pay back the loan in easy monthly installments. So hurry now and book a free appointment now. We have discussed in detail how laser treatment for face is used to bring wonderful skin rejuvenation results. The laser treatments are also beneficial for the other parts of the body. In other words, it is perfectly possible to treat the skin problems located in any part of the body. The time to finish a treatment, side effects, results, benefits, pre-op, and post-op care is almost the same for the laser treatment on body. The cost of laser treatment for body depends on the same factors we have just discussed. If you have got a skin problem anywhere on the body, the best way to proceed is to consult a dermatologist. Unlike other clinic, the Laser Skin Care Clinic does not charge for the appointment. If you are ready to say goodbye to skin problems, we invite you for a free online consultation. You have read about the major facial and body skin conditions. Every skin condition has got an underlying set of problems. Most of the time, the facial area is the victim of many skin conditions than the rest of the body. The laser treatment for face designed by our board-certified dermatologists makes sure the patient gets the desired results in short time and less cost. If you have got a skin condition of any sort, feel free to book now a free online consultation session with one of our skin specialists. If you book a treatment or free appointment right now, you will qualify for at least 25% discount on all non-surgical treatments. You Don't want to Miss Our Offer on Laser Treatment for Face . Fill in The Form To Avail Our Special Offer For You!